Getting the latest Apple’s iPhone 7 gives you an edge over Android phone in terms of speed and cpu performance. The iPhone 7 scored a record-breaking 178,397 points – over 40,000 points higher than the iPhone 6s in AnTuTu benchmark. This score beats OnePlus 3 with a total average score of only 140,288 points. Apple installed a quad-core chip on the iPhone 7 which gives it the significant boost in its performance. The A10 Fusion processor along with 2GB RAM certainly makes it look like Qualcomm Snapdragon 820 CPU running handsets aren’t worthy of being called a flagship. Get ahead with the new Apple iPhone SE small flagship phone. Apple anounced the SE as the successor to the iPhone 5S. The SE comes with similar internal hardware as the 6 and 6s Plus yet comes with the same screen size as the 5S. Now, that seems to be great power with more mobility. The Apple iPhone SE stands at only 4-inches. Under the hood, it has the A9 processor, 2GB of RAM, 12-megapixel shooter, Apple Pay, LTE and 16GB of base internal storage. It still has a first generation Touch ID which means it isn’t the fastest and exact same design of the 5S on the outside. For comparison, it’s said that the iPhone SE has twice the processing power and three times the graphics capability of the 5S. The Apple iPhone SE will start shipping on March 31 on a some countries, but Apple plans to release it to a total of 110 countries by May. Apple corporation has paved the way for a bigger and better iPhone 6 smartphone. A strategic jump to larger screen size brings itself alongside other phablets in the market. IPhone 6 features could much definitely be a 4.7-inch display with a 1280 x 720 resolution or a 5.7-inch screen with a 1920 x 1080 resolution, that’s a full high definition screen. Other leading contenders in the phablet fab are the Samsung Galaxy S4 (5 inches, 1920 x 1080), the HTC One (4.7 inches, 1920 x 1080), Samsung Galaxy Note 3 (5.7 inches, 1920 x 1080) and LG Optimus G Pro (5.5 inches, 1920 x 1080). The Apple Iphone 5s currently has a 4-inch 1136 x 640 resolution display same as the iPhone 5. It was a large increase from a 3.5-inch iPhone 4 going to 4-inch with the Iphone 5. The bigger screen for the iPhone 6 would complement the recently launched iOS 7. The larger real estate with increase resolution if HD quality truly makes the iPhone 6 a better iOS device for playing games, surfing the web and watching your favorite movies. The bigger keyboard would also increase your working capacity while using iOS progams such as iWork, iPhoto and iMovie. And a NFC feature would be a welcome capability necessary to support and enable mobile payments, a feature still lacking with the iPhone 5. 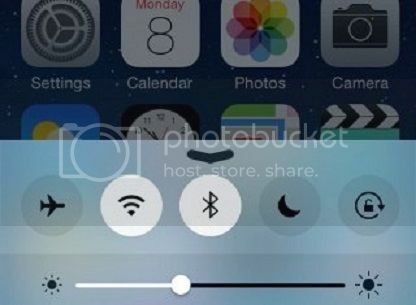 The new device from Apple , the Apple iPad , allows you to do what an iPhone can do and more. This revolutionary product has the capability to do web browsing , sending & receive emails , games , photo viewing , video play , e-books , plus many more. The unit has a 9.7 inch IPS high-resolution multi-touch full capacative display screen. This new apple iPad that weighs 1.5 lbs and only 0.5 inches thin features a 1GHz Apple A4 chip processor , 16 Flash memory storage (upgradable up to 64GB), has accelerometer , compass , speaker, microphone, 30 pin connector , the latest WiFi 802.11n networking access , and a 10-hour battery. Market retail sale price cost US $499 ( the one with 3G costs $629). Check out the price details in various countries & locations. Now’s the time to celebrate the release of the Apple iPad Pro 9.7 with promise of top-rate performance, portability and productivity. This new Apple looks similar to the iPad Air 2 but comes with a resolution of 2048 x 1536, that results in a pixel density of 264ppi which Apple claimed to be the brightest and least reflective display in the world. In addition, it also uses Apple’s True Tone display technology, which takes advantage of advanced 4-channel ambient light sensors to automatically tweak the display’s color and intensity to match the environment, something that would hopefully result in an experience akin to reading from a sheet of paper. 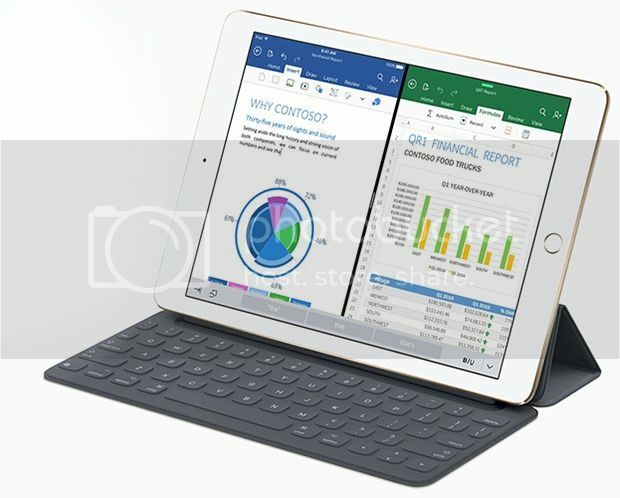 The Apple iPad Pro 9.7 run on iOS 9 and is powered by a A9X processing chip coupled with an M9 coprocessor, allowing it to make quick work of 4K video editing jobs while still maintaining a battery life of up to 10 hours. That’s 1.8x the CPU performance of the iPad Air 2 and up to double the graphics power. The Apple iPad Pro 9.7 can be yours for only $499 (16GB model), $599 (32GB model) and $729 (64GB version). Great news to aLL Mac and iOS lovers out theres. You now have a chance to win a brand new 11-inch MacBook Air. And you can join no matter where you are in the country! 1. Just register at online website. You must be 18 years old or above and a resident of the Philippines or with a valid Philippine address. 3. Once you have been registered, you will get 1 raffle entry (1 member = 1 raffle entry). 4. One super lucky member will win a the much desired brand new 11-inch MacBook Air. CashCashPinoy and its partner companies Moonline Inc. and Movent are not allowed to join the promo. Good news for all Facebook user folks out there. A newer version and apparently better iPhone 3.0.1 Facebook App is offered on the iPhone App Store just recently. According to the tweets of its developer, Joe Hewitt the improved version of the application corrected various bugs that were present in the iPhone 3.0 version. Likewise, remarkable improvements were made to address several negative issues of the older version. Issues like crashing when scrolling on the friend’s list, iPhone’s not vibrating when receiving chat messages, time-stamp inaccuracy and birthday related bugs were allegedly fixed. Also, Joe Hewitt has tweeted that the notifications error will be fixed anytime soon. Sad to say though, video lovers would have to wait for quite some time as streaming won’t be available yet. But Hewitt clarified that they are starting to convert all videos to a format iPhones can play. Hewitt also gave some hints on the services the next iPhone Facebook App version would be providing. To name some few were: the ability to search across all status messages, notes and shared links that users have marked as public, which is possible on Facebook’s website, Push Notifications, and ability to synchronize between your Facebook friends’ list and your iPhone’s contact list. The next App would be a big resolver to the inconvenience of certain bugs that occur in its older versions. It’s a stuff everyone’s craving to behold. But as of now, let’s all sink our teeth to the current version of Facebook App that iPhone offers. It’s bigger and better.